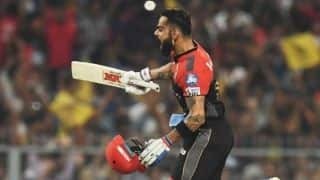 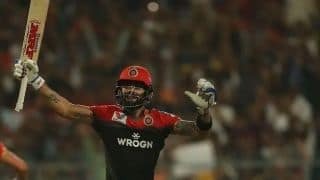 Kohli, Moeen trump Russell, Rana as Royal Challengers Bangalore beat Kolkata Knight Riders by 10 runs. 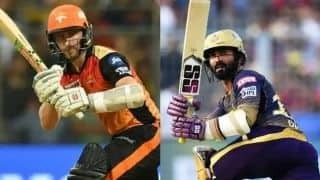 Game 37 pits the two teams against each other on Saturday, with both looking to move up the ladder. 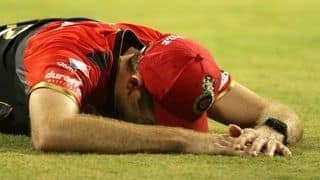 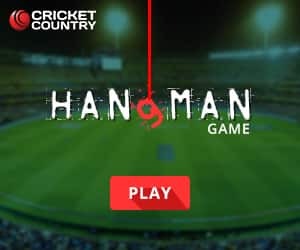 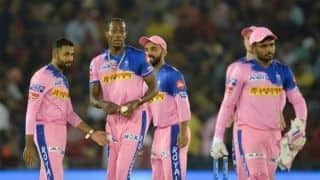 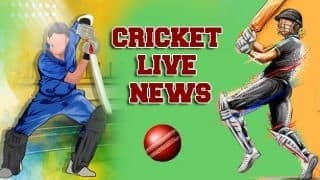 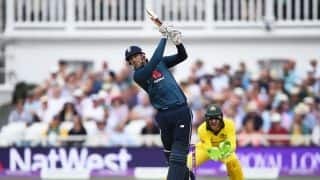 Andre Russell hammered 65 off 25 balls but Royal Challengers Bangalore managed to hold their nerve to register their second win of the season. 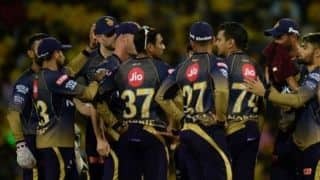 Video preview of Game 35 of the IPL in which Kolkata Knight Riders host Royal Challengers Bangalore. 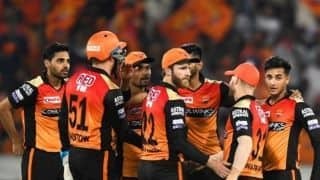 Sunrisers Hyderabad beat table-toppers Chennai Super Kings by six wickets bringing an end to their three-match losing streak. 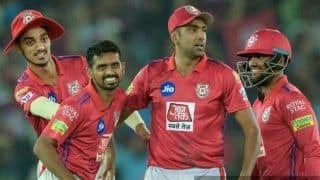 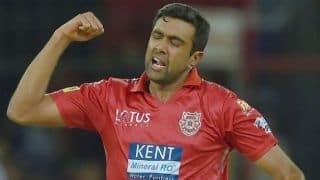 Skipper R Ashwin struck at crucial times while KL Rahul scored a matured half century to help Kings XI Punjab return to winning ways. 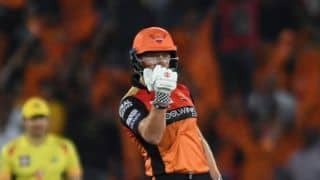 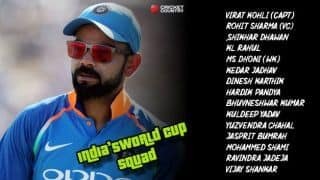 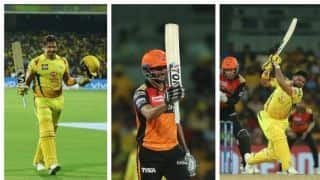 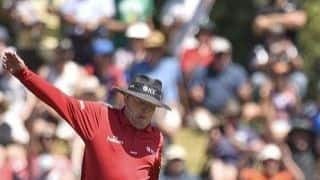 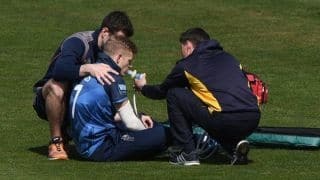 Sunrisers Hyderabad began the IPL 2019 on a strong note before suffering defeats in three straight matches. 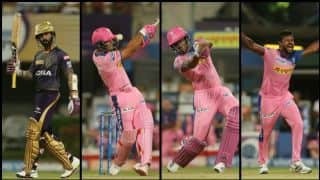 VIDEO: Who will win Round 2 of the Ashwin-Buttler contest? 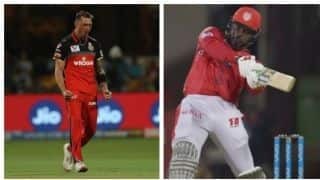 As Kings XI and Royals meet for the second time this season, the contest everyone will have their eyes on is Ashwin vs Buttler. 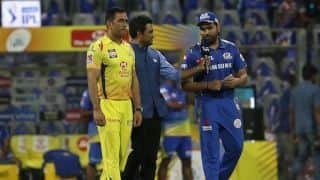 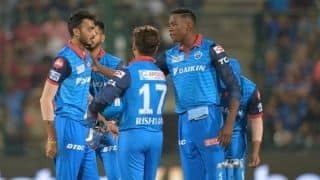 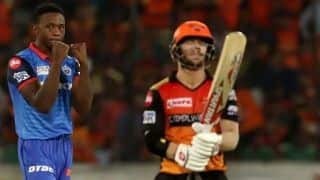 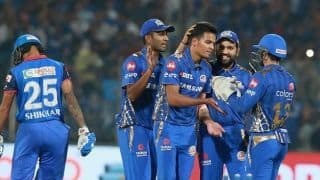 Relive all the action from Match 30 of the IPL in which Delhi Capitals inflicted a crushing 39-run loss on Sunrisers Hyderabad.